We look forward to seeing you at the UPSA 2012 Annual Conference. If you have any questions prior to the event, please contact us at info@3gselling.com, or 888.243.0461. Click one of the links below to download a copy of Martyn's presentation decks for the UPSA Annual Conference. The event is the 5th Annual Sales Conference in Johannesburg sponsored by the United Professional Sales Association (UPSA) of Southern Africa. It is a non-profit organization that seeks to elevate the status of the sales profession to the levels of other professions. Among the services offered by UPSA-SA is a certification standard and process for those seeking a higher level of qualification in the profession of sales. 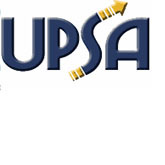 In addition to the services offered to sales professionals the UPSA-SA supports the Ubuntu Mission. The Mission provides business planning, life, sales and marketing skills to individuals from communities that desperately need help through formal training programs, coaching and support. For more information, visit the UPSA website.